Root25 - All About Information Security: Lenovo IdeaPad Y480 Review. Potentially Dead on Arrival! Lenovo IdeaPad Y480 Review. Potentially Dead on Arrival! New Generation of cpu Core i7 3rd generation. Gaming laptop in size and weight of office laptop. Gaming graphic card with 2G Dedicated memory. And more important than them i trust in this brand because i knew its related to IBM so i bought a Lenovo Ideapad Y480 with DOS OS. As this story is to long here the abstract for those people are reading this to decide if buy this model or not? I bought Lenovo Ideapad Y480 with Geforce GT 650 and DOS OS. on the second day i understood graphic card temperature increase suddenly without any reason from 50 to 90~100 and laptop turnoff automatically. I ask Lenovo to replace this laptop with new one after 20days they give me another brand new Y480 with same specification and this time ::: this one monitor can not light up. so i asked to replace the laptop with new one again. the third laptop is working fine until now! But Lenovo waste more than 30days of my life and my money. 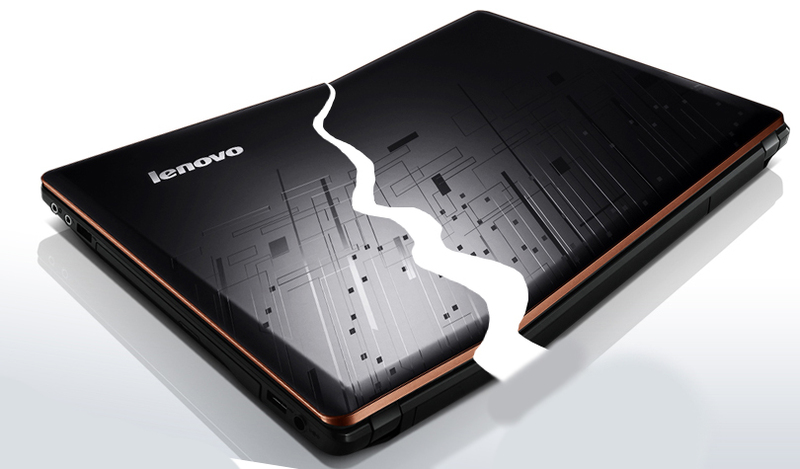 just because Lenovo didn't check their product Quality before releasing them to market and that's why 2times in row the brand new laptop is dead on arrival! The customer care also act very weak , because they could arrange the replacement sooner. on the day one i unpack the laptop and install my own windows then start installing drivers from the company driver CD. later i tried to check the performance of laptop by "Windows Experience Index" then suddenly laptop turnoff, i thought maybe this happen because of one of drivers.. anyway next time i tried to run windows experience again. this time it run but after while it turnoff again... later after many times trying i realized it happen when experience index comes to check GPU (Graphical Processor Unit). So first thought the problem is from graphic card driver and try to download many versions of driver and try again and this turn off continues. later i Install HWInfo program(its a program to monitor computer hardware performance) then i saw in GPU part when the laptop switch from the primary GPU( Intel HD 4000) to secondary GPU(Nvidia Geforce GT 650M) suddenly the temperature of GPU increase from 50 to 90~100 and laptop show a blue screen error and quickly turn off! I understood that this is a hardware problem .. 2days after buying the laptop i took it to Lenovo repair center. first they said you just leave the laptop for a week we should check and diagnose to find the problem. after a lot chat with them i said i already know what is the problem... and im guessing its happening because when they assemble the heat sink on the GPU they didn't put enough silicon paste so it can not transfer heat properly to heat sink .the man that work there said you are right im guessing the same thing but it might be from the silicon paste or motherboard. if you want you should leave your laptop for while we check and repair it and give it back to you. I said that its not fair to open a new laptop and repair it only 2days after buying. I want replacement with new one! anyway they said replacing laptop with new unit will took about 2weeks, i was very busy those days and really i need the laptop for my works but i accept. after 2weeks they said they approve to replace with new unit but it take more time... after alot of calls and argue with them the give me a new unit after 20days. i was very angry ,2 times in row! after some experinces on the laptop i relise this happen sometimes randomely ! it seems something was lose inside the laptop and it was related to primary GPU and it lead to laptop can not turn on the monitor on startup. this time i take the laptop to IBM HQ in Petaling Jaya and show that to repair center. I said to them im tired of following up please check if its something lose inside just fix it and give me back the laptop... they said NOOO the problem is from motherboard !!! 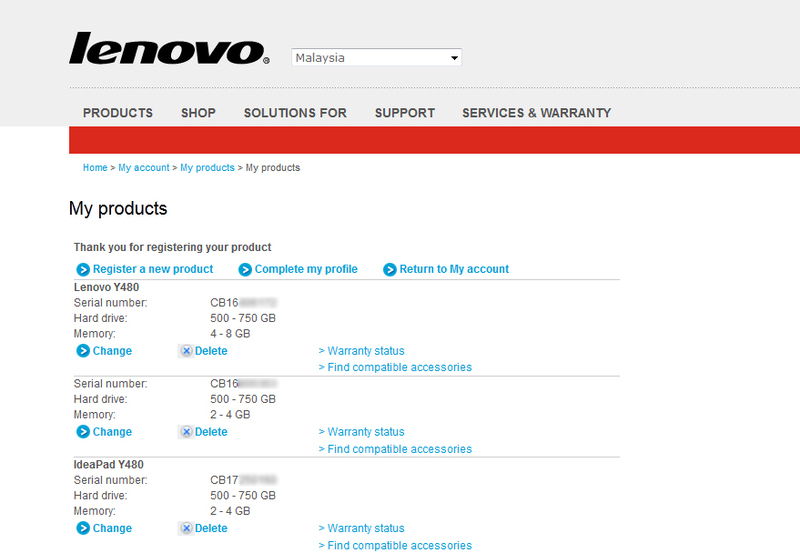 i call the "lenovo customer care" and speak to person that was arrange this new unit for me. I said to her i want money back this time... how comes two times brand new laptop have hardware problem... and she said its okay we arrange the moneyback but it will took long and i cant promise you exactly when (hahaha i know that it mean at least 1~2months) anyway i didnt have anyother choices i said ok i want refund! After coming back from the PJ to home i saw an email from the customer care that she said: our experts at repair center open and re assemble your laptop and everything work fine so in this case we don't give you any refund! In this time i was veryyyy ANGRYYYY!!!!! i said you accept to refund me now you are saying the laptop was fine i show you that it had hardware problem! and you accepted even i said something is lose but you said its motherboard... now open it up and assembled again and you are saying its not a hardware problem and we dont refund you! after 30min argument on phone with her and other presons in repair center she convinced to refund me and later she suggest me that we also can give you a new unit. i accept the offer of getting new unit! long story short after another 10days they give me the third unit... until now its working fine and im very satisfied with it! but lenovo with low quality of their product and their weak customer services waste more than 30days of my life and my money! I really regret why i choose from this brand! but now im happy with it because its really powerful! 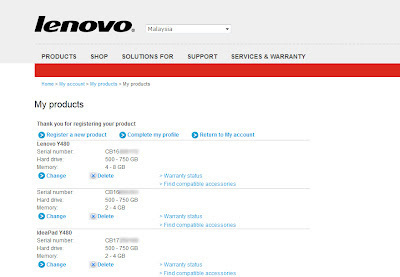 I register 3 Lenovo Y480 at Lenovo warranty site (2 broken on arrival) 3rd work fine! And this is the GPU benchmark result that i did with this laptop! its quiet good! 2. I think you are just quite unlucky as my Y480 worked just fine and I didn't even have to go to Lenovo support once. 1.I Had May Original Windows , XP , 7 , 8. And as the option without operating system was available here i bought that. 2.if it was one time we can call that bad luck but it happens two times in row, this problem exist in alot of same models you can search for more info in Google.